Rouvalis Flowers - Boston Florist, Flower Delivery, Corporate Floral, Flower Subscriptions, Plants & Garden Design BlogAmaryllis & Paper White Bulbs Are In! Amaryllis & Paper White Bulbs Are In! We have an assortment of Dutch Amaryllis Bulbs and Paper White Bulbs (narcissus) in for the holidays. 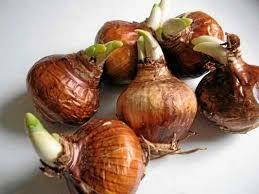 We typically start planting Amaryllis Bulbs starting the first full week continued into the second week of November. This timing will ensure beautiful blooms starting early to mid December taking you through the Christmas holiday. Narcissus we generally plant 4 weeks from when you would like them to open, warmer temperatures and a lot of exposure to sunlight will generally speed up the blooming process.